The bad news: Dust from the Sahara Desert in Africa—totaling a staggering 2 to 9 trillion pounds worldwide—has been almost a biblical plague on Texas and much of the Southern United States in recent weeks. The good news: the same dust appears to be a severe storm killer. Some air pollution good, some air pollution bad. If nature does it, it's good and part of the cycle of life. If mankind does it, it's bad and the people doing it must be imprisoned or killed. Some air pollution is preventable, some you can't do anything about more like. Don't be an idiot. I could explain false equivalency to you but I would have to use very small words. Small words, yes, the poor guy was born in 1357 you know. How very amusing, that Texans are dependent upon African dust to p moderate dangerous weather events. And of course there is that whole 'lack of capacity for gratitude' thing the Texans got going on. Oh, and all of you Texans dependent on strong petroleum prices? With pimp putin's whore trump selling out America's oil industry as one more kremlin action in the russians ongoing strategic economic warfare against the West? How's that legalizing vote cheating working out for you in the late, grate state of taxless? 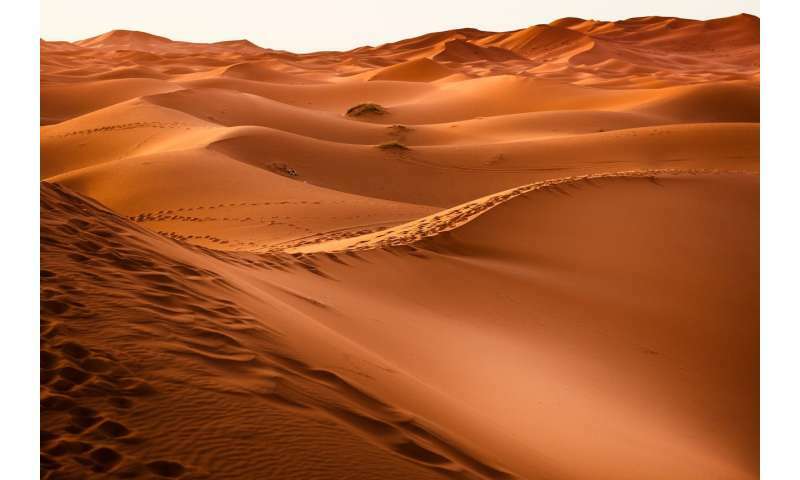 Good to see Africa sending the Sahara desert to Texas, it will feel at home with Texan temperature of 104 degrees Fahrenheit, may be it will encourage the Texans to get desert robes and trade their gas guzzlers for camels, there the only creature suited to this completely unforeseen and unexpected Texan climate change courtesy of the Bermuda high-pressure system. I can just see gas guzzlers sinking into the sand as Texans gracefully glide silently past aloft those ancient camels on their way to work or returning loaded down with groceries from Walmart passing those unused gas stations as all camels need is love and care and oasis in the desert for that thirsty well earned drink of clean mean H2O!